When you stay at Mercure Melbourne Albert Park in Melbourne, you'll be next to a golf course, just steps from St Kilda Road and 13 minutes by foot from Alfred Hospital. This 4-star hotel is 0.6 mi (1 km) from Fitzroy Street and 1.8 mi (3 km) from St. Kilda Beach. Make yourself at home in one of the 209 air-conditioned rooms featuring refrigerators and flat-screen televisions. Wireless Internet access (surcharge) keeps you connected, and cable programming is available for your entertainment. Private bathrooms with shower/tub combinations feature complimentary toiletries and hair dryers. Conveniences include phones, as well as safes and desks. Enjoy a range of recreational amenities, including an indoor pool, a spa tub, and a sauna. This hotel also features wireless Internet access (surcharge), concierge services, and babysitting/childcare (surcharge). Enjoy local cuisine at Windows Restaurant, a restaurant which features a bar and a garden view. You can also stay in and take advantage of the 24-hour room service. Relax with a refreshing drink at one of the 2 bars/lounges. Buffet breakfasts are available daily from 6:30 AM to 10:30 AM for a fee. In addition to an indoor pool, Mercure Melbourne Albert Park provides a spa tub, a sauna, and a fitness center. The hotel offers a restaurant and a coffee shop/café. Guests can unwind with a drink at one of the hotel's 2 bars/lounges. A computer station is located on site and wireless Internet access is available for a surcharge. A 24-hour business center is on site at this 4-star property. This family-friendly hotel also offers tour/ticket assistance, multilingual staff, and concierge services. For a surcharge, a roundtrip airport shuttle (available 24 hours) is offered to guests. Onsite parking is available (surcharge). 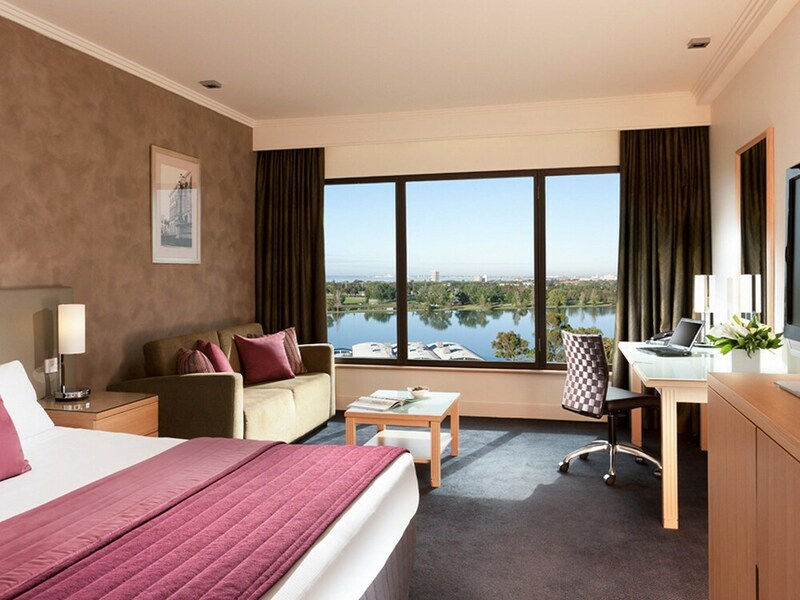 Mercure Melbourne Albert Park is a smoke-free property. Windows Restaurant - Overlooking the golf course and garden, this restaurant specializes in local cuisine and serves breakfast and dinner. Guests can enjoy drinks at the bar. Open daily. Espresso Bar - Overlooking the golf course and garden, this Cafe specializes in Modern European cuisine and serves breakfast, lunch, and light fare. Guests can enjoy drinks at the bar. Atrium bar & lounge - Overlooking the golf course and garden, this cocktail bar specializes in local cuisine and serves dinner only. Happy hour is offered. Rollaway/extra beds are available for AUD 60.